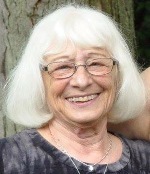 Barbara Fox, 76, of West Bloomfield, Michigan, died on 11 April 2019. The Funeral was held at IRA KAUFMAN CHAPEL on Sunday, 14 April 2019 at 3:00 PM . Rabbi Rachel Shere officiated. Click here to watch the live video of the funeral service.